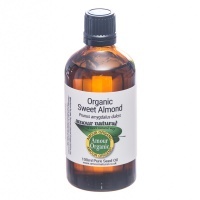 Amour Natural Organic Castor Oil. Traditionally used for detoxification and cleansing. Astringent. Soothing for itchy skin and rashes. Nourishing for hair. 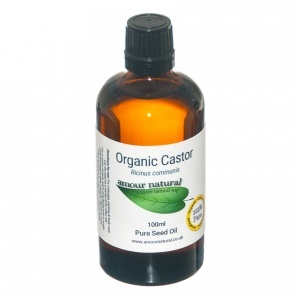 Castor oil is a thick, viscous, rich and astringent oil. 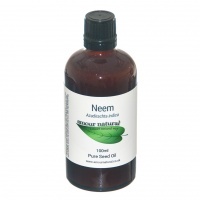 It is very soothing and nourishing, as well as being very effective at drawing impurities from the skin. Castor oil is often used for facial cleansing (combined with other carrier oils, typically 30% or less), for deep conditioning hair treatments, and for a naturopathic cleansing technique called ‘liver packing’. Castor oil is derived from castor beans by cold-pressed extraction. If the oil is too thick for use, place the bottle in hot water to gently warm the oil.